Lisbon’s cost of living has risen in the past few years, particularly when it comes to rental costs. More and more property owners are now renting their properties short-term through sites like Airbnb instead of long-term. To add to that, Lisbon has become a very popular destination to live in for and more and more people are searching for housing here. It’s still the cheapest capital city in Western Europe, though. If you’ve lived in Lisbon before, you’ll find Lisbon expensive now. If you’re from somewhere else in Portugal, like the Algarve or Porto, you’ll find Lisbon expensive. If, however, this is your first time living in Lisbon, and especially if you’re moving from somewhere like London, you’ll find it very affordable. This is especially true if you can find a reasonably priced rental. After rent, your living costs in Lisbon can be tamed fairly easily. There are plenty of cheap cafés, restaurants, and bars throughout the city, and Lisbon isn’t a city that demands you spend a lot of money to have a good time. A good time in Portugal is often as simple as a trip to the café for coffee and a cake or a meal out in a traditional restaurant. It’s possible to live in Lisbon on around €1000 per month, although you’re probably going to want a little more wiggle room to live comfortably. €1000 would allow you to rent a small apartment, pay your utilities, buy groceries, and have a few coffees out per month, but would leave little for room for other expenses. It depends on what you like to spend your money on. Rent has definitely increased in Lisbon, and this is where your biggest costs will be. A 1-bedroom or 2-bedroom apartment in Lisbon starts at around €600 or €650 per month, and a studio costs slightly less. Obviously, the lower-priced apartments will be in high demand. It’s worth browsing the different accommodation sites to get an idea of how much you’re likely to end up spending on accommodation. While you can find a 2-bedroom for €600 per month, it’s also not unusual to see them for €2,000 per month. Obviously there’s a big difference in between the two, and the more expensive properties tend to more upmarket. A room in an apartment, if you end up flatsharing, starts at around €200. There are several sites that are dedicated to student accommodation, like Erasmu and Lisbon’s native accommodation startup Uniplaces. If you’re staying short-term, you’ll probably end up renting through Airbnb. Monthly Airbnb prices in Lisbon start from around €900-€1000 per month. As this includes your utilities, and you don’t have to worry about getting the internet installed, it can be a good option for many short term renters. Note: Apartments and houses in Portugal are listed as a T0, T1, T2, etc. T0 is a studio, T1 is a 1-bedroom apartment, etc. Eating out depends a lot on where you eat. It’s still possible to get a 3-course lunch menu with wine for less than €10 from a Portuguese tasca, but you’ll struggle to get a 1 main meal for less than that if you go to a contemporary or international restaurant. The average price of a main meal in an upmarket Portuguese or restaurant serving international food is probably around €14 or so. Coffee is the same. You can get an espresso for somewhere between €.60 and €1 in most cafés in Lisbon, and a pastel de nata from €1 or less, but go to a hipster café and your costs will double. Groceries are still very affordable in Portugal, particularly if you live near a decent supermarket. This can make a big difference to your living costs, and also what you’re able to buy, so look out for a decent sized supermarket (Lidl, Pingo Doce, or Continente, for example) when you’re house hunting. If you don’t find one, but do have a decent market that’ll be fine. Portuguese markets are great for fruit and vegetables, meat, and fish, and often more affordable than the supermarkets. Alcohol is fairly affordable in Lisbon, but it depends where you buy it. Head to the Bairro Alto, for example, and you can get a beer for €1 or a cheap cocktail like a Caipirinha for €2 or so. A glass of wine in a Portuguese tasca should similarly costs €1-2 on average, while a supermarket bottle of wine costs between €3 and €10. Of course, there are more expensive places in Lisbon as well where you can expect to pay €10 or more for a cocktail. It depends where you go. A public transport ticket (valid for the bus, train, tram, or ferry) costs €1.45 and you can get a monthly pass for €36.70. Even if you don’t get a monthly pass, be sure to get a rechargeable Via Viagem card to get the cheaper rate. Without this card, you’ll pay almost double on the buses and trams. Taxis and Ubers (and other Uber-style apps) are also very affordable. A 9km trip from Praça do Comércio to Lisbon Airport, for example, would cost around €10. Lisbon is a very small city and, although it’s hilly, it’s easy to get around on foot. Most districts are very small, and you can walk across them in 10 or 15 minutes. You don’t need a car in Lisbon, so whether you get one is up to you. Parking in Lisbon is competitive, and the streets are often very narrow so you may want to just hire one as and when you need it. Utilities (water, gas, electricity, and bins) can be expensive in Portugal. For a small apartment, you can expect to pay €100-150 per month for utilities. This can increase significantly if you use the air conditioning a lot. It’s unlikely your apartment will have central heating, but many aircon units have a heater function. This doesn’t tend to heat the house very well, and can be expensive. Internet and home phone contracts cost between €20 and €60 per month. 1 GB of data on a prepaid sim card will cost around €10 per month on average, and each GB unit gets cheaper the more you order. You can get 5 GB for €15-20, for example. Monthly contracts are more affordable in the long-term, and you can often get combo deals for home internet, mobile internet, and TV. Lisbon has gyms to suit every need and budget. At the cheaper end of the scale, Fitness Hut costs around €28-€40 depending on the package you choose. Most of the other gyms average at around €70 but can go as high as €200 per month. If you’d prefer to just run, there are plenty of great areas for running around the city particularly the waterfront between Cais do Sodré and Belém and in Monsanto. If something goes wrong, it’s good to know that you’re covered. Registering in Portugal will get you on the public health service, but many people prefer to have private health cover. If you’re not staying long enough in Portugal to register, it’s a good idea to have some kind of travel insurance that covers health problems. If you’re moving to Lisbon, you’ll want to learn at least a bit of the language. Language classes vary depending on whether you’re getting individual lessons or sitting in a language class. Expect to pay around €25-35 for a private Portuguese lesson through a language school. Booked individually, you can expect to pay somewhere between €15 and €20 for an hour-long lesson. Group language classes vary considerably in price. Expect to pay between €9 and €30 per hour-long class. Some people like to do an intensive course, which is very effective but more costly upfront, while others prefer to do a few lessons per week over an extended period of time. If you’re strapped for cash, we have a list of free resources for learning Portuguese. There are also quite a few language tandem meetups where you can swap lessons in your native language for Portuguese. As well as groceries, you’ll probably have a few other shopping expenses for clothes, maybe a new laptop, books, and other purchases. Some people shop a lot, and others infrequently, so only you can really estimate how much this will cost. Portugal can be quite expensive for a number of items, particularly books, electronics, and appliances. A lot of expats and newcomers to Lisbon shop at Amazon or other online stores, or have larger items like appliances and furniture shipped over to Portugal as this is usually more cost-effective. If you move to Portugal long-term, you’ll need to open a Portuguese bank account. You can use a non-Portuguese bank account for withdrawing cash, and making card payments, but you’ll need the Portuguese bank account for paying bills like your utilities. 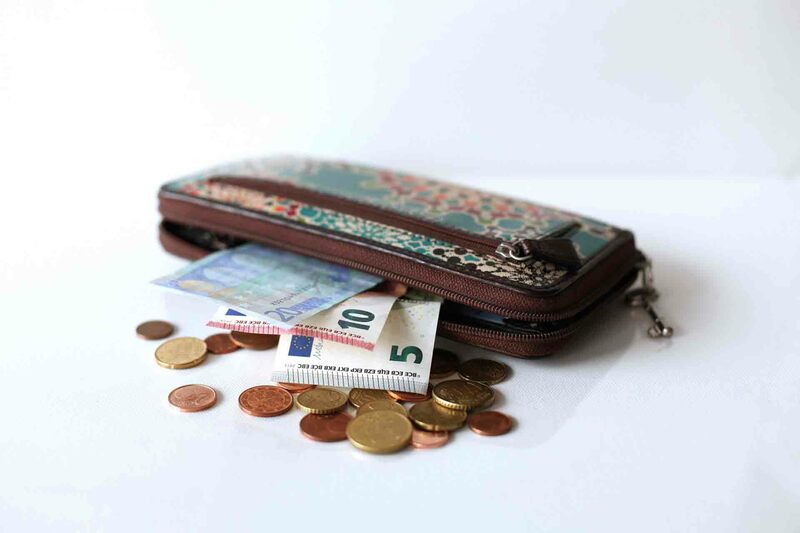 Most Portuguese banks charge a monthly fee that’s usually somewhere between €5 and €10 per month, although some will waive that fee if you keep a minimum balance in your account. If you only need to use your bank account for withdrawing cash, you can probably get by without opening a Portuguese bank account. If your bank account is in another currency, however, this probably doesn’t make financial sense. Currencies fluctuate all the time, and it’s best to keep an eye on the exchange rates to see when it’s best to send over a large chunk of cash to your Euro account. Currency transfer sites like Transferwise typically offer a much better rate than the bank. If you’re an entrepreneur or digital nomad in Lisbon, you may want to work from one of the many co-working spaces in Lisbon rather than from home. Co-working spaces range from around €100 to €250 per month, with the average cost being somewhere around €140. As the capital city, living costs are higher in Lisbon than living costs in the Algarve or in Porto. If you don’t need or desperately want to live in Lisbon, you’ll get a lot better value for money in other parts of Portugal. Portugal has some of the lowest salaries in the EU. Many Lisboetas live on salaries of €500-800 in Lisbon, but that doesn’t really mean that you as an expat can. Many of these people have lived in Lisbon for decades and have fixed rent that’s often less than €100 per month. Those rents are no longer available and, being honest, the standard of those apartments would be well below what an expat would expect to live in. Expats tend to have a higher cost than living overall. They usually live in the better neighbourhoods, eat and drink at more expensive restaurants and bars, and have a better (and more expensive) lifestyle overall. If Lisbon’s cost of living is too high, consider living in another part of Portugal where the cost of living is lower. Porto is slightly cheaper, while the rest of Portugal has a much lower cost of living. Have you lived in Lisbon? How do you find the cost of living? Let us know what you think by leaving a comment below. After having lived for my entire life in the outskirts of Lisbon I moved to Eastern Europe, more specifically, Bulgaria. I have reached the conclusion that it became impossible affording to live in Lisbon with such low salaries most of us take home in the end of the month. My highest-paid job was 550€ gross, because I didn’t have that much experience and I was lucky I didn’t have to pay rent. (Some people would call me lucky because they couldn’t even find a job). I decided moving abroad in 2016 because the situation was too difficult, yet I see that it has become even more difficult. I’m a grown-up man and moving back thinking that I’d have to live with my parents is something that I won’t even consider. These past few days I was speaking to a colleague and telling him that rents have become way too expensive in Lisbon and that even in the outskirts of the city people were paying 400 Euros for an 1-bedroom apartment. I got extremely surprised as soon I searched for apartments both downtown and in the outskirts of Lisbon. In a matter of 2 years and half since I moved, the prices have almost doubled and the salary remains basically the same. After researching a lot through most websites I saw that it was IMPOSSIBLE to find anything for less than 600 Euros where I used to live (empty apartments, without anything at all), and that most places were going for something around 900 or 1000 Euros. I won’t even comment about the city center of Lisbon where I couldn’t find a single studio for less than 800 Euros. Living in a campsite would probably be my only option (which I’ve considered), yet, it is also not that cheap anymore. How it is possible to move back? Unless you inherit something from your parents you’re basically screwed. Or unless you make over 3000 EUR gross (because half of it gets nailed by taxes). Still, I’d have to live a miserable life with such salary. How is it possible that in an Eastern European country I make more than the double I was making in Lisbon and my rent goes for 1/4 of the price? Plus, its brand new equipped? Going back on vacation? Definitely. Going back to work and live? Impossible and probably never. The situation in Lisbon has become pretty crazy as more and more people have started renting their apartments on Airbnb instead of long-term. The costs have increased so high much there’s no way salaries could be expected to rise to match it. The government really needs to step in and limit the number of short term rentals, as these are drying up the long term rental market, but unfortunately that’s not happening.